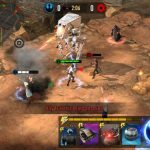 Star Wars: Force Arena is the latest game based on and inspired by the iconic Star Wars franchise, and you can now download it for your Android or iOS device, if you haven’t done so yet. If you already have, then we’re guessing you already read our general strategy guide for the game, but if you haven’t, here’s a brief refresher of what you can expect. 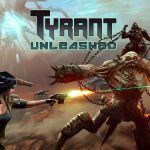 This is a collectible card game where you can form a team and choose from more than 80 upgradeable characters, strategize and choose the cards to play on your own, or do the latter with your friends as you take part in Guild mode. And as this is a real-time CCG, it’s going to be all about interacting with players from all around the world, or at least facing them in battle. Our general strategy guide included a number of tips and tricks that cover a lot of ground in the game. But you may also be wanting to know more about the leaders that will be available to you — these are the top heroes in the game, and you can unlock them as you keep playing the game and defeating more opponents. 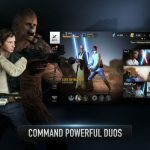 So with that said, let’s get to our new Star Wars: Force Arena strategy guide, where we run down three of the best available leaders in the game, plus their Unique units. The first thing we can say about leaders in this game is that your mileage may vary. It may also depend greatly on the cards that are currently in your deck, as well as the number of leaders you currently have unlocked. Secondly, all of this game’s leaders have a special, or Unique card that can only be played in conjunction to them; these special cards, as you may have guessed, have a lot of bearing in your battles. A lot of players believe that the best heroes in the game are the ones you have a Unique for. But what if you’ve gotten to the point where you’ve unlocked all the leaders, with everyone having a corresponding Unique, with all the cards at exactly the same level? That’s where you’ll find out that some leaders are better than others, regardless of the faction. Here’s our list of the best leaders in Star Wars: Force Arena, and what will be in it for you if you’re using them or playing their cards. Given his iconic status and familiarity even to those who aren’t big Star Wars fans, it shouldn’t come as a surprise that Han Solo is the first hero you will be able to unlock in the game, and of course, the first Rebel leader that becomes available to you. The Trip Mine is his special skill, and you can place this skill/play this card anywhere you wish, but preferably at a point where you can draw more enemies in. Any enemy who steps on the Trip Mine explodes, with Han Solo dealing out five times the damage he normally could. This skill is most useful when dealing with attackers in the lane where you currently aren’t attacking on, and it could take out solo snipers and other attackers that may be in that lane. 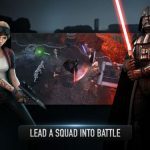 You can also use Trip Mine to beef up your offense, and make use of Han Solo’s passive skill, a buff that doubles the damage he deals out when shooting. Chewbacca is Han Solo’s unique unit, and has a lot of health points, with the capability of taunting enemies and drawing enemy fire in. As such, Chewie is a great tank character, as he can soak up a lot of damage and protect units that deal out a lot of damage but are rather squishy in the health points department. Those who have watched Rogue One may have a soft spot for Baze Malbus, who stands out for his attack speed. That’s definitely the best aspect of his skill set, though his power and health are also quite solid. Baze’s attack speed is even further accentuated when his special unit Chirrut fights alongside him. And moving on to his special skill, he fires off three shots, all of which explode and deal out area of effect damage. And you know how area of effect attacks are great for taking out large groups of enemies. As we mentioned above, Chirrut Imwe is Baze Malbus’ special unit, and he’s best used for launching ranged attacks and generally augmenting your team’s offense. He also has good health stats, so there isn’t much to complain about with this Unique character. Of course, this list wouldn’t be complete without at least one Empire leader, and our choice is Agent Kallus, another character that deals out area of effect damage, albeit with a shorter range. His health stats are well above average, while his special skill acts as a buff, improving damage to enemy troops by 10 percent. But going back to his area of effect damage, it’s at 250 percent of his default damage, with the additional benefit of stunning nearby enemies for 1.5 seconds. Yogar Lyste is Kallus’ special unit, and he buffs friendly units by increasing their attack speed. Aside from that, he isn’t exactly the best Unique out there, and his low health would require you to have a tank nearby to act as a decoy and soak up the damage.